Know a chemistry student (or instructor)? If you are visiting this site, chances are you are already a nurse and your days of struggling through chemistry classes are behind you. But, if you know someone who is currently a chem student — or even a chem instructor, please consider referring him or her to our new sister site: Learning Laboratory. We’re trying to understand more about college-level science instruction — what’s available in the way of online tools and where there might be some product opportunities for us. As we research specific topics and try to identify the best tools available, we intend to publish curated lists of online resources. For example, we’ve just posted an article on tools available to help teach and learn about Lewis Dot Structures. I experienced a tidy patch of synchronicity recently. First, I worked my way through the Crisis Management chapter in the Quantum Leadership book I’m reading. 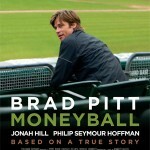 Second, I went to see Moneyball, the new Brad Pitt movie about baseball. Quantum’s take on crisis management is, essentially, “Get used to it. Get better at it. Stop thinking of it as something you only do from time to time.” The authors point out that health care organizations have long done effective planning for all sorts of crises: natural disasters, epidemics, and the like. But they haven’t been so proactive about slower moving crises generated by changes in their business ecosystem. Such game-changers can be technical, regulatory, or financial; they share the characteristics of being unplanned and unpredictable but are hardly unexpected. Nursing brains at your service! 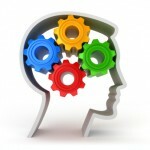 One of the topics that always comes up when I talk to nurses about our phone apps is that of the nurse’s brain. 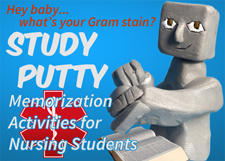 These indispensable tools, also commonly known as “nursing brain sheets”, “nursing worksheets”, “patient worksheets”, and “report sheets”, can be as simple as a folded sheet of blank paper or as complicated as a heavily-formatted Excel spreadsheet. Most sheets used for inpatient care have some basic fields in common: room number, patient’s name, doctor’s name, and a set of one- or two-hour time slots for length of the shift. Depending on the nurse and the nursing specialty, they can stop at that or go on to be enormously elaborate.